Please consider nominating your colleagues for one of the awards listed below. Nomination packets are due February 1, 2016. UNT’s Center for Learning Enhancement, Assessment, and Redesign (CLEAR) holds the Teaching Excellence Seminar at the beginning of every long semester and is intended to educate and inform new instructors on UNT policies and best practices in teaching and learning. The spring seminar will be on January 14, 2016 from 7:30 a.m. – noon in the Gateway Center Ballroom. The seminar is a key first step for all new TAs and TFs, and all other UNT instructors are encouraged to attend. Because space is limited, early registration is encouraged! Register here. The Provost’s office offers workshops for assistant professors, associate professors, and lecturers working towards the next rank. On February 5 from 1:00 – 2:30 in Gateway 51, Provost Finley Graves will discuss the tenure process as well as promotion to full professor. On February 12 from 2:30 - 4:00 in Gateway 51, Christy Crutsinger, Vice-Provost for Academic Affairs and Michael McPherson from the Office for Faculty Success will meet with lecturers interested in promotion. Both sessions are interactive, so bring your questions! Need to get some articles out the door? If so, this workshop is for you. A panel including some of UNT's most prolific writers, editors and editorial board members from top journals representing a variety of fields will explore how to turn your fears and roadblocks into a programmatic framework for productive writing. Audience questions will also be entertained. The workshop, moderated by Angela Wilson, Regents Professor of Chemistry is scheduled for January 19, 2016, 1:30 p.m. – 3:00 p.m. Register here! Have you considered joining the more than 70 UNT faculty members who’ve taught and conducted scholarship abroad as Fulbright Scholars? Are you exploring the idea of leading students on a study abroad experience? Looking for avenues to further research collaborations with colleagues in other countries? These and other topics will be explored by experts from UNT-International on February 11 from 9:30 to 11:00 in Union 333A. All are welcome and registration is free. Register here. 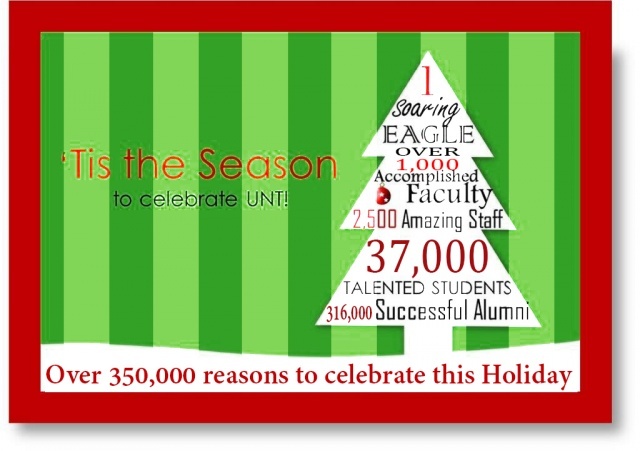 If you have questions, please contact the Office for Faculty Success at 565-3987 or faculty.success@unt.edu. Balancing the demands of a fast-paced and challenging workplace with one's personal life is an ongoing challenge with which all faculty members must grapple. Please join us on January 29 from 1:00 - 3:00 for a discussion featuring experts in time management, healthy living, stress management, and more. 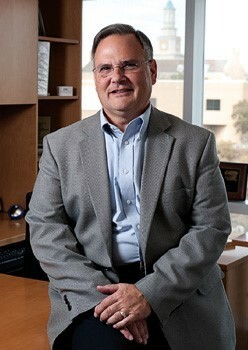 If you have questions, please contact the Office for Faculty Success at (940) 565-3987 or faculty.success@unt.edu. Please register here. As you put together your syllabi for the spring semester, please note a few alterations to UNT’s policy regarding end-of-semester activities. Instead of a pre-finals week we’ll have two pre-finals days and a reading day. For the spring, pre-finals days will be Wednesday and Thursday, May 4-5, and Reading Day will be Friday, May 6. Faculty are reminded that final exams must be given according to the dates assigned by the Registrar’s Office, unless approval is granted by the Provost’s Office. UNT's New Faculty Information System Is Coming! Beginning January 4, 2016, faculty members can update their faculty profiles and upload course syllabi through UNT’s new Faculty Information System. UNT’s Office of Institutional Research and Effectiveness has imported much of the data from the FPS into the new FIS database. However, differences in the two systems mean that not all data can be imported into the new system in the same format or fields. Data that could not be imported directly into fields was placed in “legacy” screens. Look for detailed instructions when the system goes live at the beginning of the year. If you have any questions, please contact faculty.info@unt.edu. January 19, 1:30 p.m. - 3:00 p.m.
January 29, 1:30 p.m. - 3:00 p.m.
February 11, 9:30 a.m-11:00 a.m.